DOWNLOAD THE DATA SHEET TODAY TO LEARN HOW YOU CAN HAVE ENTERPRISE-LEVEL SECURITY WITHOUT THE HASSLE. 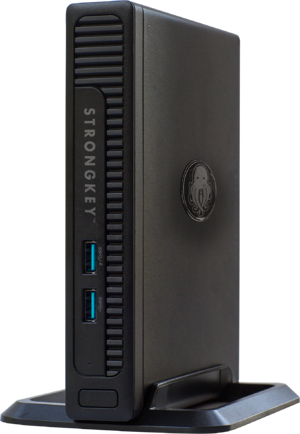 With multiple flexible deployment options and scalability to keep your business secure as it grows, the T-Series appliance is an ideal option for smaller and mid-size businesses looking to deploy encryption, key management, strong authentication, and digital signatures, or for proof of concept (PoC) projects. Fill out the form to get the data sheet sent directly to your email in minutes. ©2018 StrongKey. All Rights Reserved.